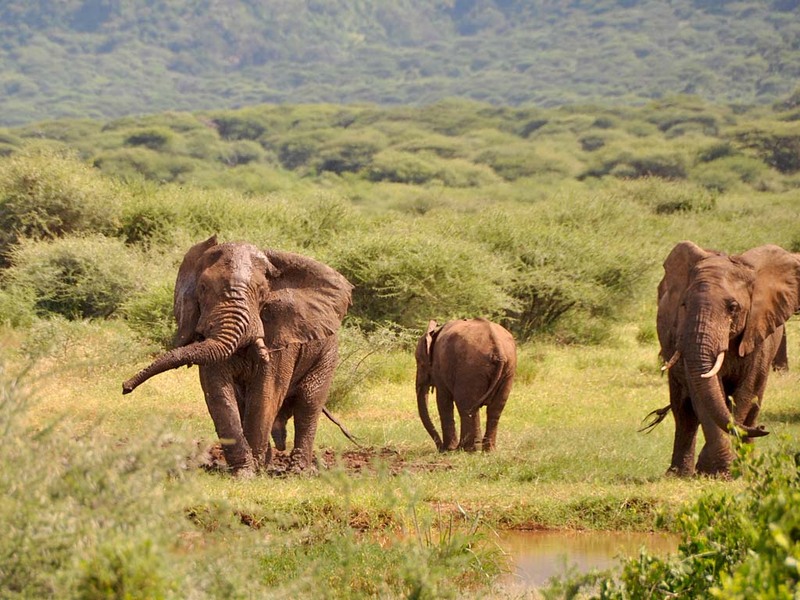 Lake Manyara National Park is one of the smaller national parks in Tanzania but still offers beautiful landscapes and is home to an interesting collection of wildlife. 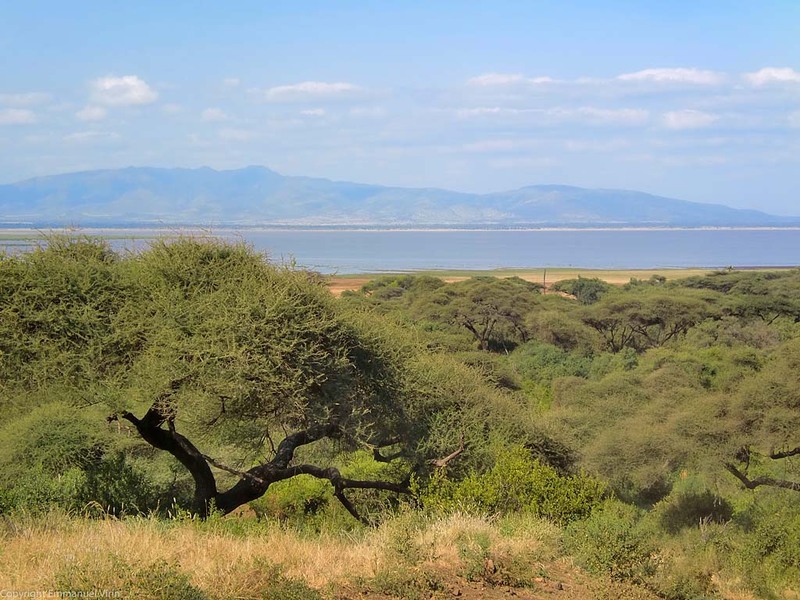 The lake itself is a soda lake / alkaline lake and reaches a maximum depth of 3.7 m. The vegetation changes from ground water forests to flood plains and finally to acacia wood plains. For bird enthusiasts this park is truly rewarding as it is home to over 400 species of birds. 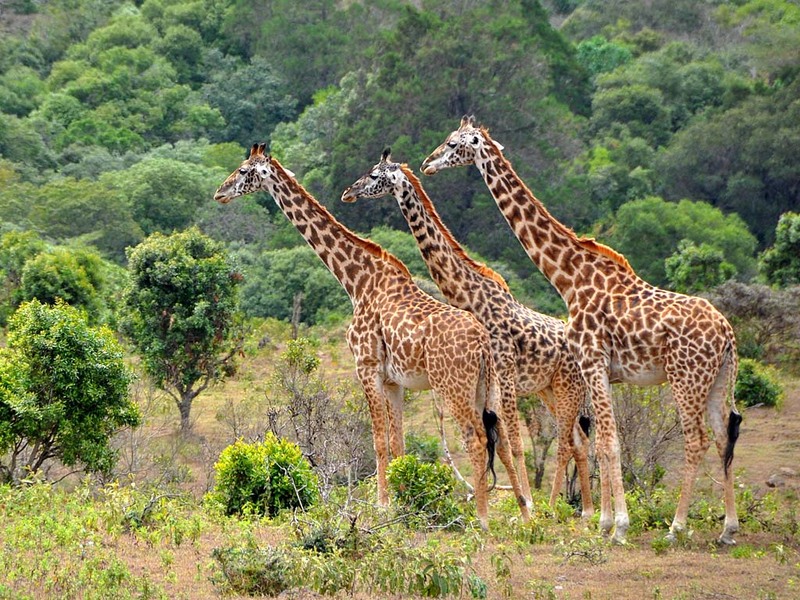 Other inhabitants of the park include elephants, buffaloes, hippos, baboons, waterbucks, impalas, giraffes, zebras and wildebeests. The park has an abundant population of leopards but sightings are rare due to the thick vegetation. With a bit of luck visitors can catch a glimpse of the renowned “tree climbing” lions. 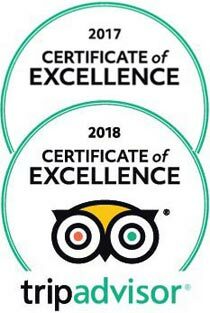 Upon entering the Lake Manyara National Park visitors are greeted by ground water forest which boasts with ancient mahogany trees, giant fig trees as well as kapok trees. It is a common site to see the crystal clear water seeping directly out of the ground. 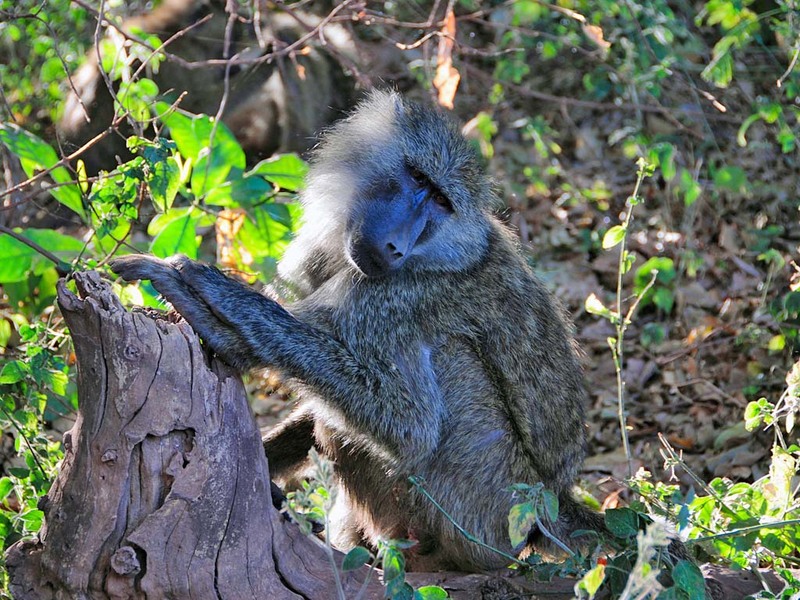 This area is always lush green and is also home to the olive baboons who proudly call Manyara their home. 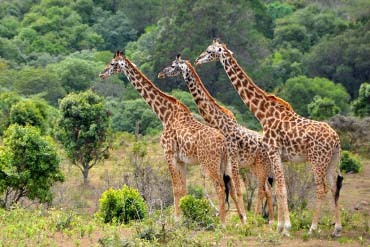 Troops of up to 150 individuals joyfully playing and foraging around in the forest can be seen. Elegant bushbucks can be seen grazing almost soundlessly. From time to time the peace of the forest is disrupted by the trumpeting calls of the silvery cheeked hornbills who enjoy perching on top of the giant trees. As you continue, the ground water forest transforms into a flash of greens and yellows signalling the arrival of the acacia forest. Vervet monkeys as well as the noisy red billed hornbills are common residents here. A must stop is the new hippo viewing deck from which visitors can gaze upon these large mammals going about their business. Water birds like blacksmith plovers, little egrets and herons are just a few of the many birds to be seen here. Large herds of wildebeests, zebras and buffaloes like to gather on the open flood plains from where they graze and can keep a look out for approaching predators. The acacia woodlands deeper in the park are famous for the renowned “tree climbing lions”. These large cats have evolved over generations to add tree climbing to their daily activity. 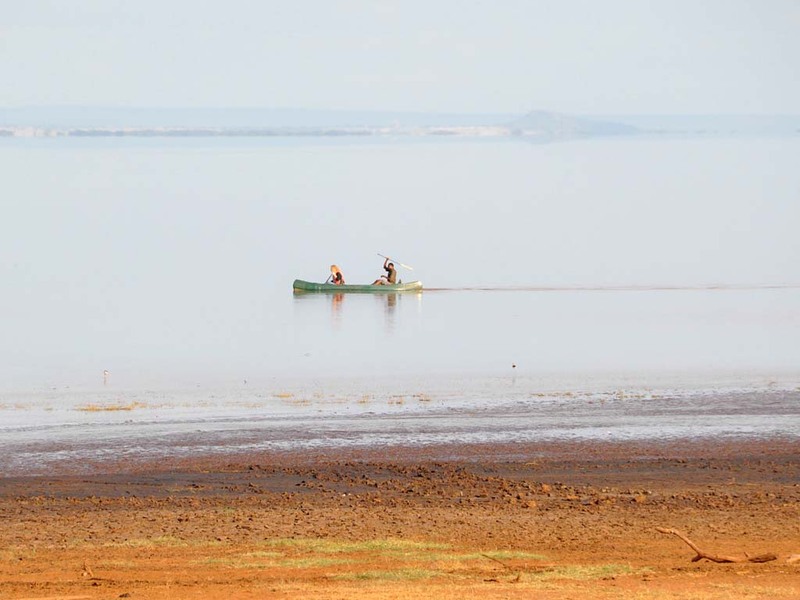 The lake itself receives its water primarily from the Simba River in the north and the Makuyuni River in the east. However the rift valley also provides a lot of water mainly in the rainy season. The ground water forest also feeds the swamps that eventually flow into the lake.